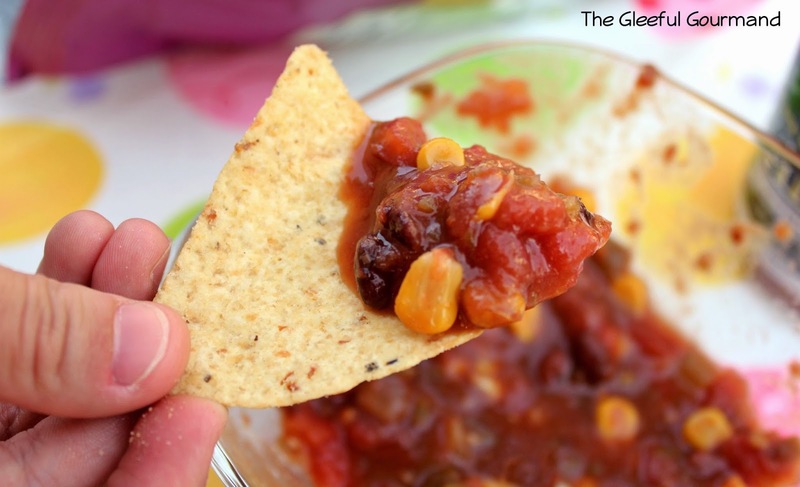 Summer is right around the corner, and summer is Salsa Season. Or, if you're me, every season is Salsa Season. Is there any dip or condiment on this planet that is as tasty, fun, and versatile? You can literally do a hundred different things with salsa, but my favorite way to use it is to stuff my face with it and tortilla chips. I know, that's not very couth to say (or maybe to do in front of guests), but I feel about salsa they way I feel about barbecue: very passionately. Maybe it's a nostalgia thing: We had salsa some growing up, but nowhere more than when we were at the beach. Maybe it's the memory of playing hard at the beach all morning, then coming in for a satisfying lunch of sandwiches with tortilla chips and salsa. Maybe it's the memory of the most perfect salsa ever, found at the now long-gone Uncle Julio's Rio Grande Café that was once my favorite restaurant in RVA. Maybe it's just the way it's a perfect snack: Bite for delicious bite, refreshing, waking all your senses, clearing your sinuses…man, I simply love it. So when I was contacted by Ernie Dettbarn, a Richmond creator of unique salsas, it was a no-brainer. He wanted me to try his five salsa flavors, and since it was lunchtime when I read his e-mail, I wanted to eat them. Win-win. But salsas are subjective. What one person loves about a salsa, another may not like at all. Take heat, for instance. My husband loves super-spicy salsa - he loves all super-spicy food. But I can't tolerate a lot of heat. I go for more of a true medium salsa: flavorful with just enough kick not to send tears coursing down my face. Behold: Ernie's Salsa. Unique, and flavorful. Which is why when I received Ernie's Salsas, I decided the best way to get an accurate assessment was to have more opinions than just my own. It just so happened that we were having our neighborhood's annual Egg Hunt and Easter Brunch around the same time. It turned into an all-day affair, so late in the afternoon, I brought out Ernie's Salsas and lined them up for a taste-test with about 10 of my neighbors. Ernie's Black Bean & Corn Salsa. Yuuuuum! Black Bean & Corn: This was one of the favorites of the group. Everyone loved its mild, yet robust flavor, and especially its texture (chunky), which made it pretty hearty. There was barely anything left in the bowl at the end of the taste test. Out of all of them, this is the one that inspired me to cook with it - I could definitely see it as the perfect addition to a healthy breakfast burrito. Hawaiian Pineapple Heat: This was my personal favorite of all the flavors. Most of us loved how the subtle sweetness hit before a perfect kick of heat came in right at the end. Only one among us said it didn't have enough heat, but that was my husband, Mr. "It's got to be as flaming hot as the sun." Chesapeake Bay Shrimp: This was a huge crowd pleaser. We all kept coming back to it over and over because of how different it was, and how interesting. 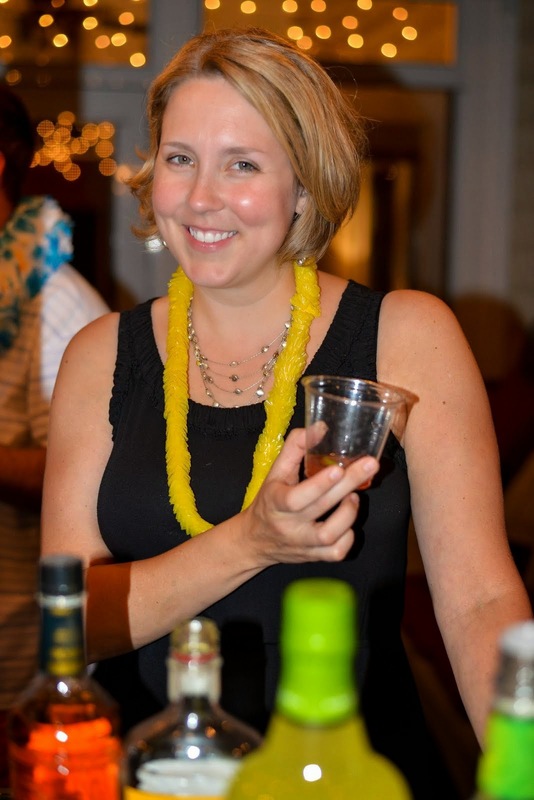 Most of us love shrimp and Old Bay, and the flavor was excellent. Many of us agreed we'd love to buy this as a unique gift for someone, or to have on hand for something like a low-country boil. It got me thinking of the beach, sitting out on the deck watching the waves, glass of bourbon on one side, this salsa on the other side. 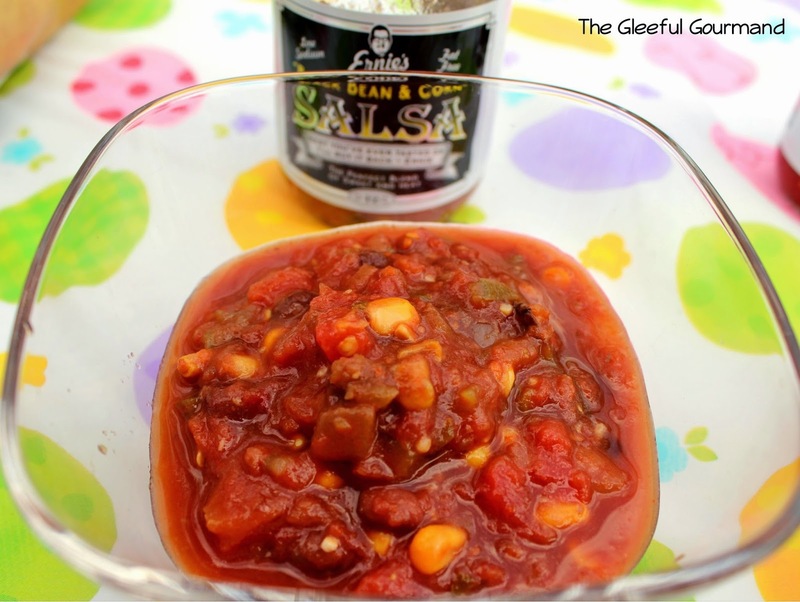 It might just be the perfect summer salsa. Perfect Peach: We were pretty evenly split on this one. Half liked it, half thought that it was just okay. It wasn't cloyingly sweet, which I liked, but unlike the Hawaiian Pineapple, it really lacked a punch of heat and flavor. But like most peach salsas, the consensus really hinged on whether someone was a "sweet salsa" fan or not. In my experience, "fruit" salsas can be polarizing, and this peach salsa definitely was for our group. I personally thought it was okay, but I really preferred the Hawaiian for that "sweet heat" flavor. Just look at all that Black Bean & Corn goodness. 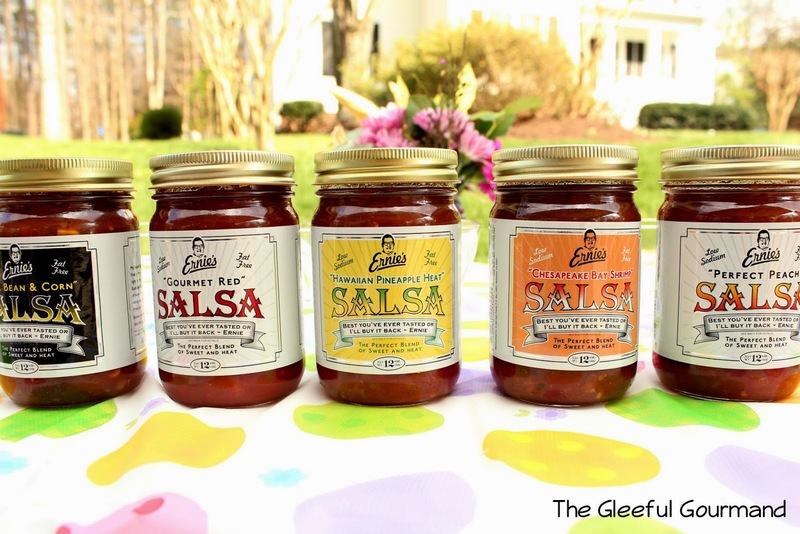 Last Notes: Almost everyone agreed that if they saw Ernie's Salsas on a store shelf (Martin's, Giant, Kroger, Ellwood Thompson, and Whole Foods are a few stores you can find them in! ), or at an expo, they would buy it again. So check them out for yourself! You can buy them here as well. If you live in RVA, there's no better way to support local small business then stuffing your face with their salsas and chips.